Deepavali 2018 – Diwali Facts 2018: As Indians have spread out in almost all the corners of the world, There is hardly any place which is not inhabited by Indians. Hence Diwali is just not a celebration of light and crackers in India alone. Today, Diwali is celebrated all throughout the world with the highest level of ecstasy and enthusiasm. Today, Diwali is not only a religious festival but a tremendous source of brotherhood among the innumerable individuals who believe light is mightier than darkness. This festival is also known as Deepavali. To be precise Diwali is a major festival of Hindus and comes up every year in the month Kartika (October-November) as per Hindu calendar. This year Diwali will be celebrated on 7th November. In many ways, over 800 million individuals celebrate Diwali in various countries with India being the focal point of celebration. Wealth and prosperity had a great significance in anyone’s life and hence Goddess Lakshmi who believed to bestow Her devotees with prosperity is worshiped with great faith and sincerity. 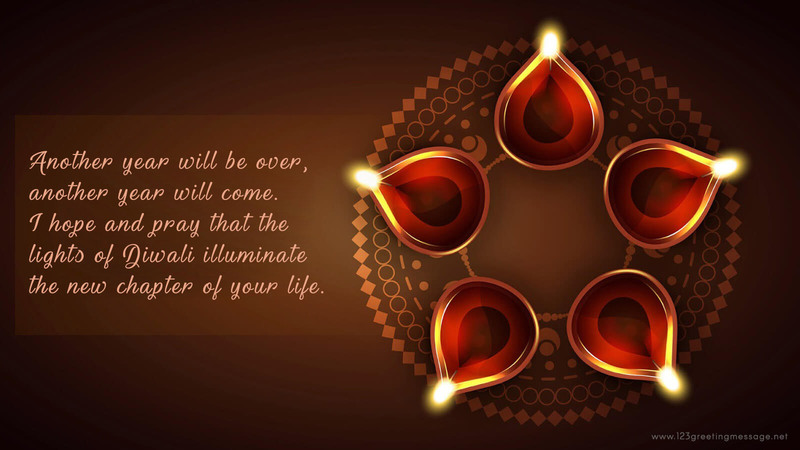 There are various Diwali facts that we should know and share with our friends and close ones. All of you might be knowing that the word meaning of Diwali is a series of lighted lamps today, which is replaced by electric chains of small lamps. Before knowing other facts, let us recollect some of the mythological and historical facts. Perhaps the celebration of light began when Rama returned Ayodhya with Sita and Laxmana on this day after the exile of fourteen years. The festival marks the victory of Lord Krishna over Naraka. On this day the followers of Mahavira (Jains) celebrate the attainment of moksha by enjoying the display of lights all around. This day is also very special to the Sikh community as they celebrate the release of Guru Hargobind Sahib Ji. Saha Jahan the Mughal emperor captured 52 kings and princes along with Guru Hargobindji. All were released on this day and it is a great celebration for the Sikhs. It can be also mentioned that on this auspicious day the foundation stone for the Golden temple was laid in 1577. Get the complete information on, Diwali Lakshmi Ganesh Puja Vidhi Samagri – Deepavali 2018 Puja Mahurat Time & Calendar and Dhanteras Puja Vidhi Muhurat 2018 – Time, Date & Calendar. Now we will consider some other facts which have a great significance in the life of an average Hindu family. The festival is basically celebrated to glorify light over darkness. Today, people make their prayers to Ganeshji Maharaj and Maa Lakshmi by placing their idols. Wherever Diwali is celebrated people get busy in shopping for various items of the daily livelihood to new clothing and various sweets. To increase their sales in various shops and companies offer a special Diwali discount. Diwali is a festival of five days that began with Dhanteras on which people try to buy even a very small ornament or coin or idol of Lord Ganesh and Lakshmi. Hindus believe that purchasing new items during Diwali is very auspicious. During this period people purchase various home appliances and gadgets. On Diwali, many countries have their national holiday. Along with India, this day is observed as a holiday in Nepal, Myanmar, Guyana, Trinidad & Tobago, Singapore, Malaysia, Suriname, Fiji, and Sri Lanka. Even in some parts of Pakistan, this day is observed as an optional holiday. It is very common that before Diwali people used to clean their houses and various household things. People put new colors on their walls and furniture. Before Diwali Puja, all places look clean. Before the New Year people want to make their house and business establishment clean and proper. Everywhere you can see the stream of lights of various colors. Earlier people used to keep lamps filled with oil in various places. Today electric chains are available in various patterns that make your place very close to heaven. It can be mentioned here that till date people used to keep at least some earthen diyas in the most sacred places as in Puja room, Tushi Mancha and some more holy places. Everybody tries to keep diyas burning all through the night. Ladies use to decorate the floors outside the house with Rangoli with the flour and various colour or rice dust. This is done in faith that Goddess Lakshmi would bestow immense good fortune and prosperity. The festival welcomes winter to give relief from the scorching heat. As happened every year on Diwali 2018 businesses would open new accounting books. People exchange gifts and send the various greeting to friends and relatives. The business also engages in sending Diwali greetings to their potential customers. In Bengal, Goddess Kali is worshiped with great devotion and belief. Like every year people will celebrate Diwali with full enthusiasm this year. It can be a great occasion if all the followers of Diwali take an oath that they will continue to shower light on all without any patches of darkness.